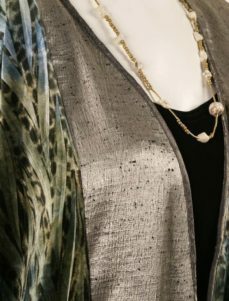 Mother of Bride Dressy Kimono Jacket Satin Crinkle Bronze Sizes 14/16, 30/32: Peggy Lutz Short Kimono in rich, metallic bronze with a satiny, softly crinkled surface. 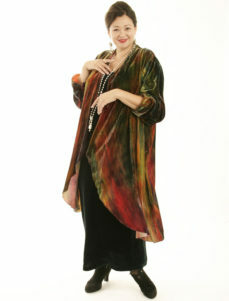 The fabric is opaque, pre-wrinkled and very lightweight, which make it a terrific addition to your travel wardrobe. 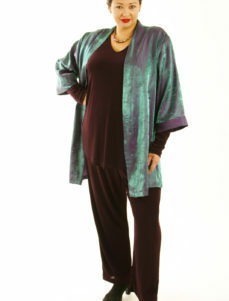 Take it on a cruise for cocktail hour over a black dress or separates. 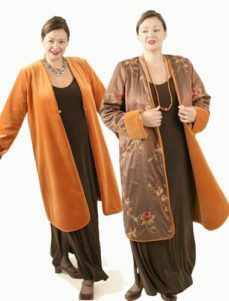 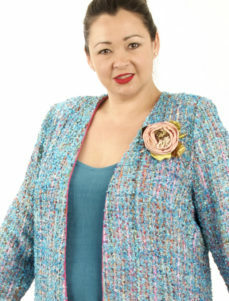 Be the first to review “Mother of Bride Dressy Kimono Jacket Satin Crinkle Bronze Sizes 14/16, 30/32” Click here to cancel reply.